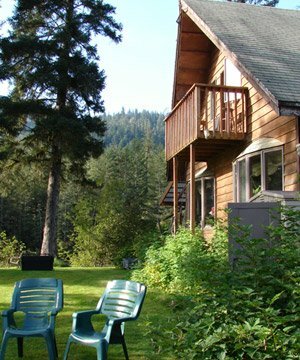 The Bears Den Cabins is an exclusive property where every guest reservation is both important and special to us. We ask for a 1st nights stay deposit upon booking which is non-refundable. We ask for a 50% payment 60 days before check-in date. If your travel plans change and you must cancel your reservation, please call us at least 7 (seven) days* prior to your arrival date to cancel your reservation. In the unlikely event that you must cancel your reservation, shorten your stay or check out early, you are responsible for the deposit/current charges. *A 30 day cancellation notice is required for peak season reservation. Absolutely No Smoking inside the cabins; however designated outdoor smoking areas are available. Pets are welcome with special permission for a one-time fee of $75. A $300 refundable deposit is also required. 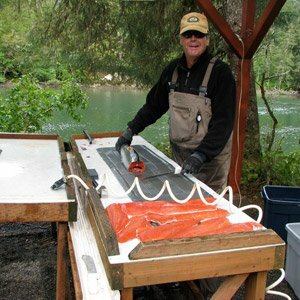 No processing fish inside the cabins, we have designated stations for that as well.